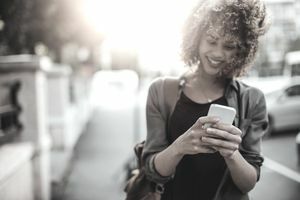 Receiving a text message is always fun, whether it’s a friend or a business contacting you -- but when that text contains a coupon or discount code, it goes from fun to downright exciting. In the past, we’ve profiled 45 of our favorite text codes that can save you money, and today we want to share six more that can help you hang onto more of your cash. Check out these additions to our text code suggestions. Who doesn’t enjoy free and discounted food? When you’re on the go and hunger sets in, it’s fairly common that you’ll find a Burger King along your route, so sometimes it’s worth a quick drive through if you’ve got some coupons to take the edge off of your bill. To join the Burger King text program, just text the word BK7 to 40814. You’ll get up to 10 messages a month via text. One of everyone’s favorite discount shops, Dollar General, wants to make the discounts even steeper by offering a mobile texting alert program, which offers notifications of deals and specials, as well as instantly redeemable mobile coupons. To join Dollar General’s club, just text the word SAVE to 34898. Within a few minutes, you’ll get your first coupon, which for me was $5.00 off of a pre-tax purchase of $25. The coupon was only good for the weekend, but then the text said I could reply with the word JOIN and get even more coupons. You’ll get up to eight messages per month with this coupon program. Whether you take amazing photos on your own or you don’t even know how to aim a camera, chances are that you’ll visit a professional photographer at some point in your life. That’s where the Picture People come in. They take the photos for you and allow you to preserve those memories. You can make those memories a little less costly with a hefty coupon from the Picture People just in time for Valentine’s Day. It offers $10 off of your purchase or $20 off every $100 you spend. To snag this coupon, visit the Picture People website and scroll to the bottom of this page, where it says “Text This Coupon to Your Mobile Phone.” You can then enter your mobile phone number, and the coupon should appear in your text box within a few minutes. If you’re in the mood for a portrait session, as we mentioned above, you should also check out the text club that Olan Mills offers. The company has photography studios nationwide and has some great deals if you join their text program. To sign up, just text the word OLAN to 88769. When I joined, I instantly got a coupon for $5.00 off of my next session, with no expiration date. Oil Can Henry’s is a well-known West Coast chain that offers services such as oil changes and car belt replacement, among other services. You can save money on those automotive services by joining the company’s text club. To join, you’ll text the word SAVE to 27299, and you’ll instantly be entered into the club. When I registered, I immediately got a coupon for $20 off of a $100 purchase at the chain, which is a great saving for car maintenance services and products. If you’re already a member of Target’s texting program, you know that the company sends some great offers each week (if you aren’t a member, now’s the time to sign up by texting the word COUPONS to 827438). But Target has more to offer that goes beyond its standard texting program, now offering deals specific to baby products. To join the Target Baby texting program, you should text the word BABY4 to 827438. The company will then send you up to six texts per month featuring sales and offers, as well as coupon codes. In fact, as soon as you join, you will receive an immediate deal for ten percent off of your online baby order through March 9 using a unique coupon code that works only for you.